The wire harness manufacturing process can be challenging given the manual assembly tasks it involves, and the specifications that must be met. Quality standards are very high, particularly in the heavy transportation and off road vehicle and equipment sectors, with minimal error rates allowable. Quality inspection procedures of the wire harness manufacturing process have generally focused on circuit presence and electrical continuity. This type of inspection also functions as a verification of the presence of correct electrical connectors or components and is conducted on the wire harness assembly board. However, this type of testing does not verify the presence of non-conducting elements of a harness like TPAs, boots, clips and zip ties, or the proper assembly of multi-part electrical connectors. In order to achieve the specified PPM rate, 100% inspection of all wire harness assemblies is a process requirement. However, it is a well-documented fact that human operator inspection is 85% effective at best; and 200% inspection (having the same part inspected by two different inspectors) is 91% effective at best. Precision Cable Assemblies (PCA) has a continual wire harness manufacturing process improvement program embedded in each of its manufacturing facilities. To resolve this inspection challenge, and meet the desired parts per million rates, the manufacturing team members came up with a unique solution. 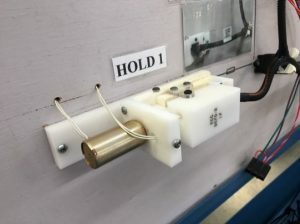 In the new assembly and test process they devised, the first test board is used for harness build and continuity testing while the 2nd test board is where non-current carrying component presence and proper connector assembly is checked. To carry out the physical testing the wire harness assembly is locked onto the 2nd board until all components are found to be present. Electronic presence sensors are used to detect the presence, and in certain cases, the dimensional characteristics of each component on the harness. The wire harness assembly is then physically marked to assure that the quality check is auditable. Test results are recorded in PCA’s production control system so that it can be retrieved for statistical analysis or client documentation requirements. 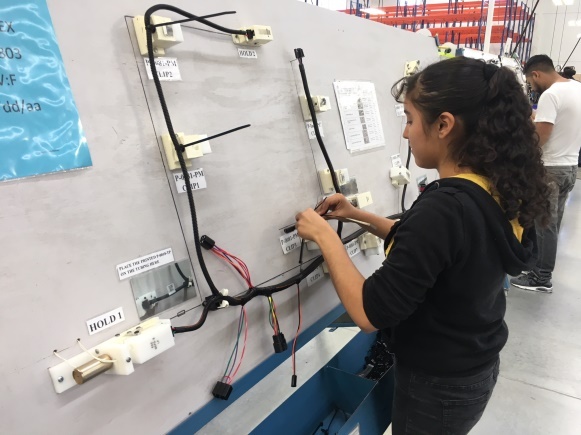 This new wire harness manufacturing process system was originally instituted to reduce problems related to new staff on the team, but the protocol proved to be so effective that it is now utilized for all wire harness production and QC operations. Contact PCA for their longstanding experience in connector selection, product integration and low parts per million error rates in their wire harness assemblies.